The venerable Corolla, the best-selling nameplate in the world and a longtime gateway to the Toyota brand for many buyers, has been a reliable quantity, with close to 40 million copies sold to date globally. The Corolla was introduced in Japan in 1966, and in the United States in 1968 with a 1.1-liter engine. With a successful blend of quality, safety and fuel economy, it became the second best-selling imported vehicle in the U.S. market in 1970. A Toyota Corolla 1600 wagon from 1973. By the time the 1974, third-generation Corolla went on sale, Toyota was selling more than 100,000 units a year in the United States. It was offered with 1.2- and 1.6-liter engines and went on to become the best-selling vehicle in the world from 1974-77. The 1979, fourth-generation Toyota Corolla. A Toyota Corolla SR5 Liftback from 1979. By 1982, Corolla production was almost 10 million units and the car was being exported from Japan to 116 countries. The all-new 1998 Corolla was powered by a new 120-horsepower, 1.8-liter engine. Toyota said the sportier styling gave the Corolla's new body a lower drag coefficient than a Supra Turbo. Standard equipment included dual air bags and front seat belts with pretensioners. With the introduction of the sixth-generation Corolla for the 1988 model year, all Corollas, except the three-door hatchback, were front- or four-wheel drive. Marking its 20th anniversary on sale in the U.S. market, Corolla sales climbed above 200,000 for the first time since 1981 to 216,677 units in 1988. A 1989 Toyota Corolla coupe. The 1993 Toyota Corolla DX wagon. In the 1997 model year, Toyota dropped the Corolla wagon, leaving just a sedan model for sale in the United States. Production of all Corollas sold in the United States also was consolidated in North America with the opening of a new plant in Cambridge, Ontario. The seventh-generation Corolla bowed for the 1993 model year and borrowed styling and engineering from the Toyota Camry and Lexus lineup. It was reclassified a compact based on EPA rules after the Camry became a mid-sized vehicle. It was available with 1.6- and 1.8-liter engines. A passenger-side airbag was added in the 1994 model year. The redesigned 2003 Corolla -- longer, taller and wider -- went on sale in February 2002. It offered a 1.8-liter, four-cylinder twin-cam engine that produced 130 horsepower, an increase of five horsepower over the previous generation. Toyota added the four-door Matrix hatchback to the Corolla family in early 2002. U.S. sales of the Corolla and Corolla Matrix reached a record 387,388 units in 2006. The venerable Corolla nameplate took on a mythic status when President-elect Barack Obama sat down with his economic advisers a week after his 2008 election to talk about Detroit's beleaguered automakers. "Is there any way these guys are going to avoid bankruptcy?," Obama asked. "Unlikely," he was told, according to the 2010 book, "Overhaul: An Insider's Account of the Obama Administration's Emergency Auto Rescue" by Steven Rattner. "Why can't they make a Corolla?" Obama asked. "We wish we knew," the advisers replied. The Corolla was redesigned for the 2009 model year and offered a new 1.8-liter engine and a re-engineered 2.4-liter engine. A 2012 Corolla goes through final inspection at Toyota's Blue Springs, Miss., plant in November 2011. The 2011 opening of the Mississippi plant -- delayed for several years because of the U.S. recession and sales downturn -- marked the third site in North America where Toyota has assembled the Corolla. Toyota President Akio Toyoda displays the state of Mississippi's new license plate on the first Corolla built at the automaker's Blue Springs, Miss., assembly plant on Nov. 17, 2011. 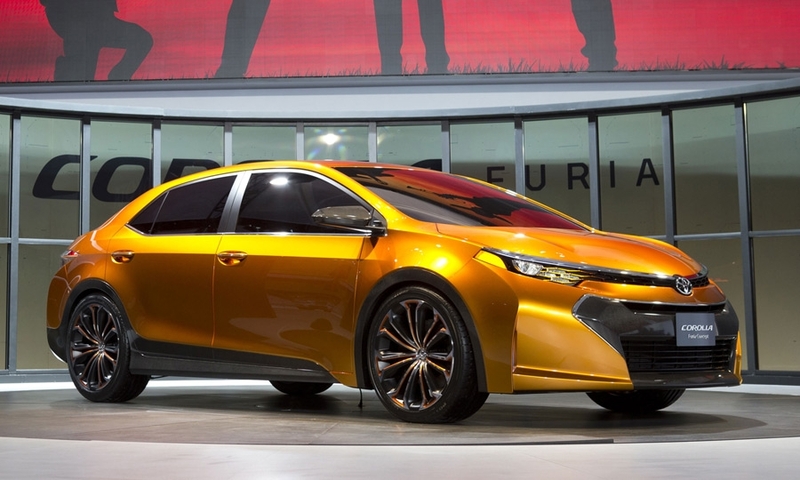 For the 2013 model year, Toyota offered a special edition LE variant of the Corolla. 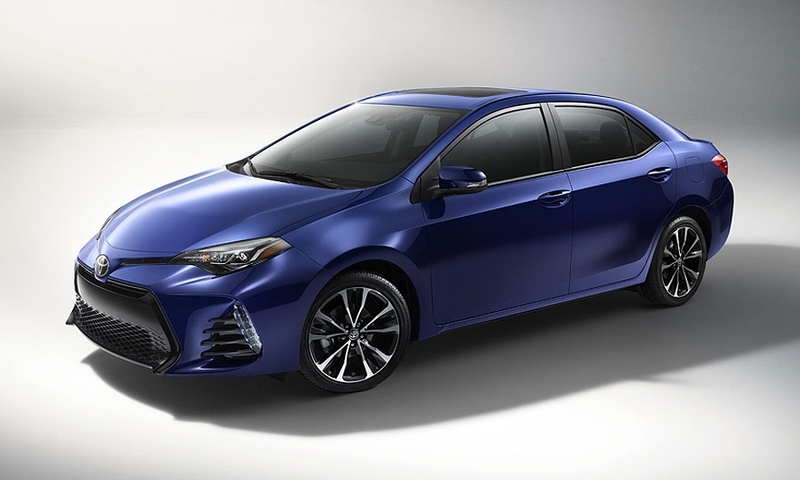 Through March 2013, Corolla has a higher concentration of fleet sales -- 23 percent of all sales -- than other compact cars, with the exception of the Ford Focus, Edmunds.com says. 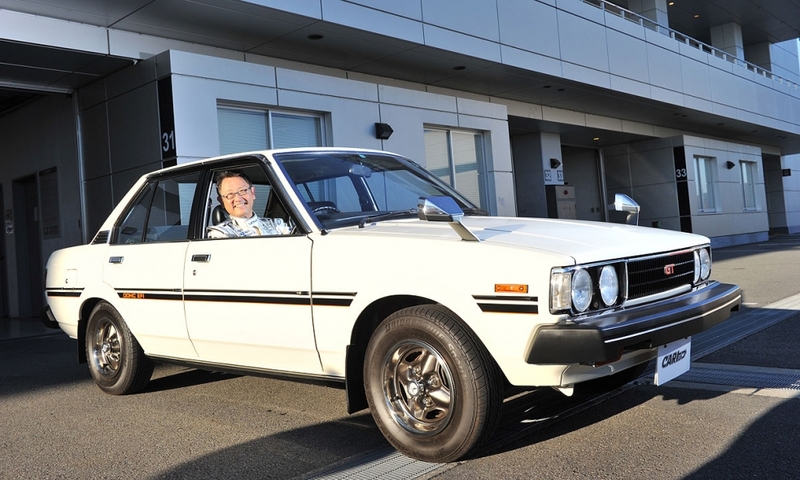 Toyota President Akio Toyoda rolls out in a 4-door Corolla GT like the one that captured his heart in the 1980s. 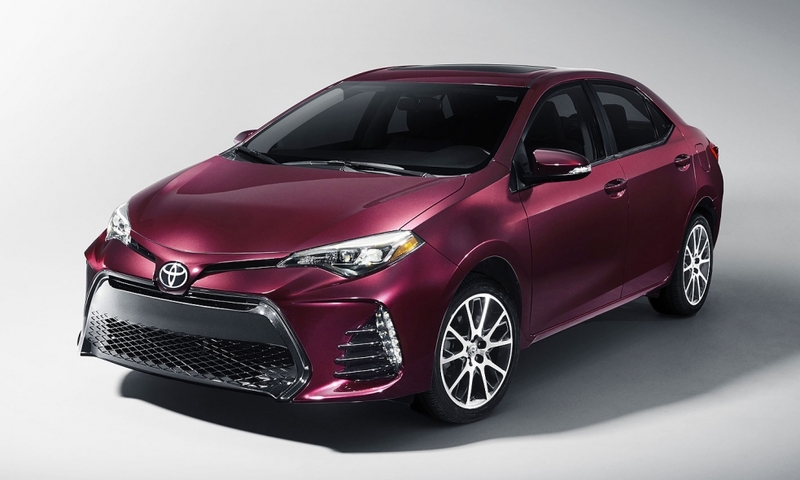 Toyota's 2017 Corolla 50th anniversary special edition in black cherry.